A whole new world in real time. Well, this is the premise that makes a future resident be delighted when receives the opportunity to walk by his future home even before start of their building. 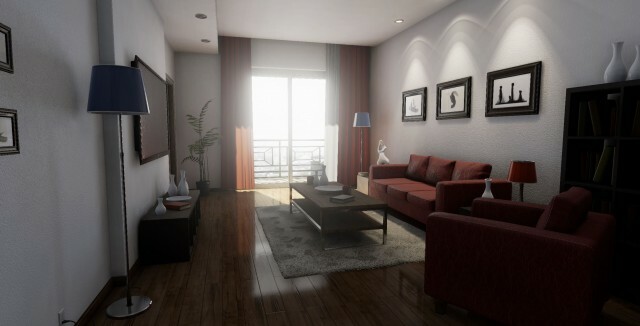 The recent launch of the powerful Unreal Engine 4 shook not only the games market, but also the of the architecture. The new professional suite of tools and technologies used for building high-quality games provides an amazing platform for the development of highest level virtual tours and realistic visualization. This is a new tool used by BaloOm Studios to create 3D virtual mockups that enable real-time navigation, adding even more quality to an innovative experience. Working with a revolutionary workflow our team is more inspired to perform complex tasks with “soft” results to the eyes, so much that it will already have a cozy atmosphere of home.